What is a Peer Educator? 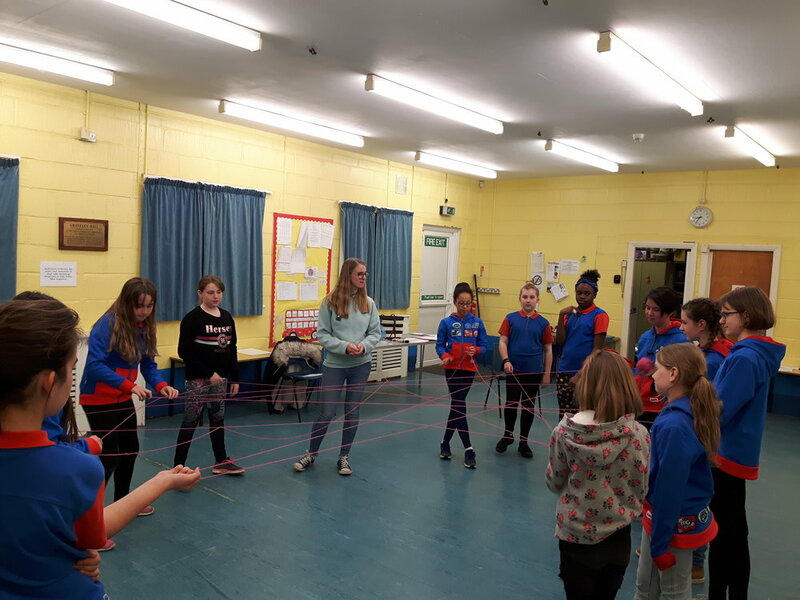 A peer educator is a member aged 14 - 26 who is trained to deliver sessions on topics that are important to girls of Brownie, Guide and Rangers age, drawing on their own experience. The sessions are delivered by someone of this age so that the girls can relate and engage with their ‘peer’. What happens in a peer educator Session and how relevant will they be? The fun, but educational, session consists of making a set of guidelines, discussing what resilience is and then, through different activities, exploring four of the five tools we can practice to combat issues we face in everyday life. This aims to encourage participation so that others can learn from their peers hopefully gaining a fuller understanding of resilience. Each session is tailor-made to suit the age of the participants. When would a session take place? During your normal meeting time, on a previously arranged date. Sometimes, in order for the girls to gain the most out of the resource, it is best if it is split across two or three meetings, particularly if your meeting is less than 90 minutes, but this can be discussed. Think Resilient is a fantastic new resource created in partnership with Young Minds and addresses the issue of mental health, teaching girls techniques to build resilience so that if they are faced by a challenging situation they know how to respond. What would be required of me as a Leader? * A pre-session conversation is usually held over the phone at a time that is mutually convenient, around two weeks before the session. Since starting as a Rainbow, I have worked my way through the sections, gaining my Young Leader Qualification before looking for another challenge. I was trained as a Peer Educator over three days in July 2016 and since then have run workshops with over 13 different Brownie, Guide and Ranger groups. I began studying Psychology in September 2018 and continuing as Peer Educator whilst at university allows me to explore what I learn about as well as to ensure I am making a positive difference to younger girls. I really enjoy crafting each workshop to suit every units needs and leaving behind something worthwhile for girls to think about. If you are interested in booking a Peer Education session for your unit, please complete the enquiry form below and one of our peer educators will be in touch. Herons Wey open day : Monday 6th May : 1pm until 4pm : bring your families along for some free activities and a look around our county campsite. More details on our website. Link in bio. 484 Brownies and 119 leaders at Little Gig today. Girlguiding is AMAZING!! !